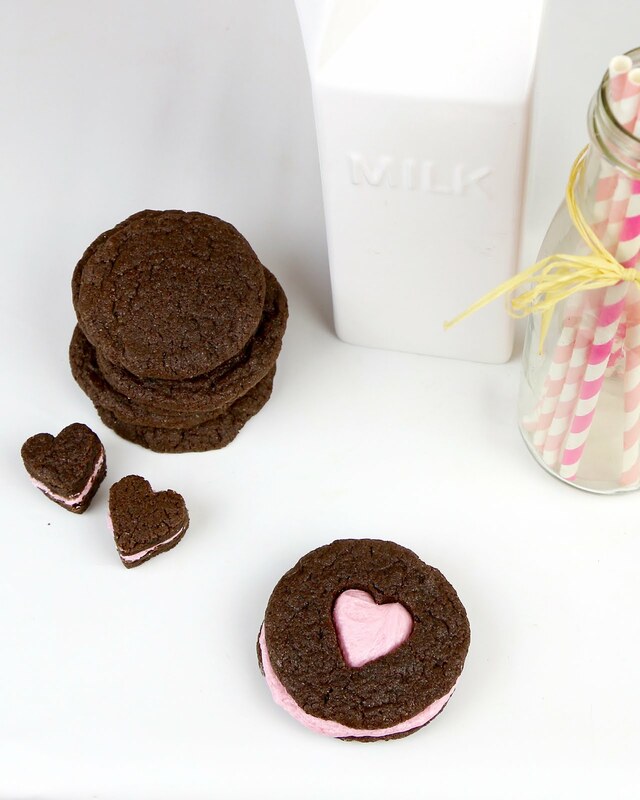 A super easy, homemade version of an Oreo cookie with a twist. 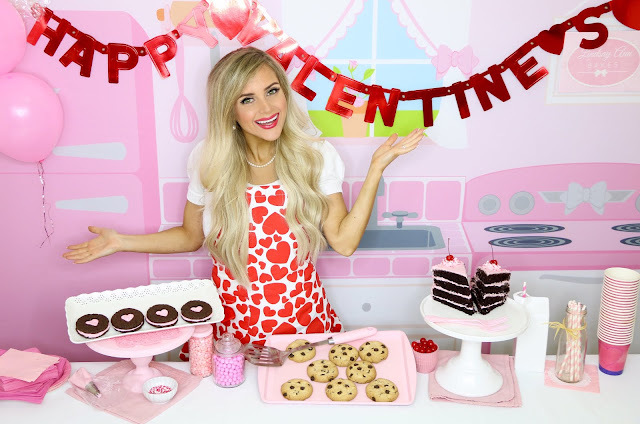 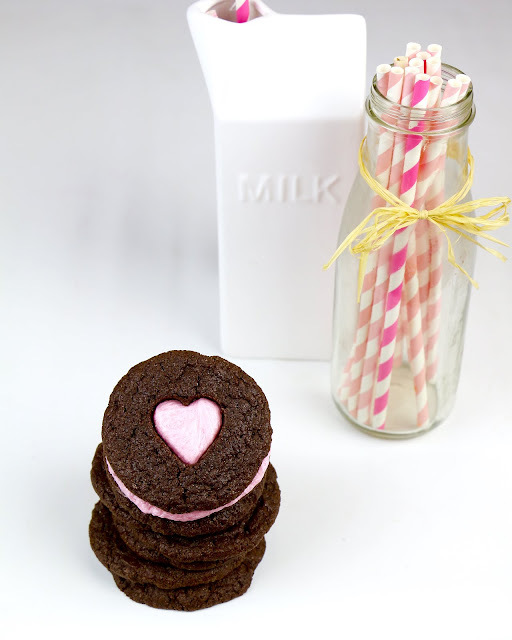 These 3 ingredient chocolate cookies are filled with a cherry flavored frosting, with a cute little heart cut out of the top, making them perfect for Valentine's Day! 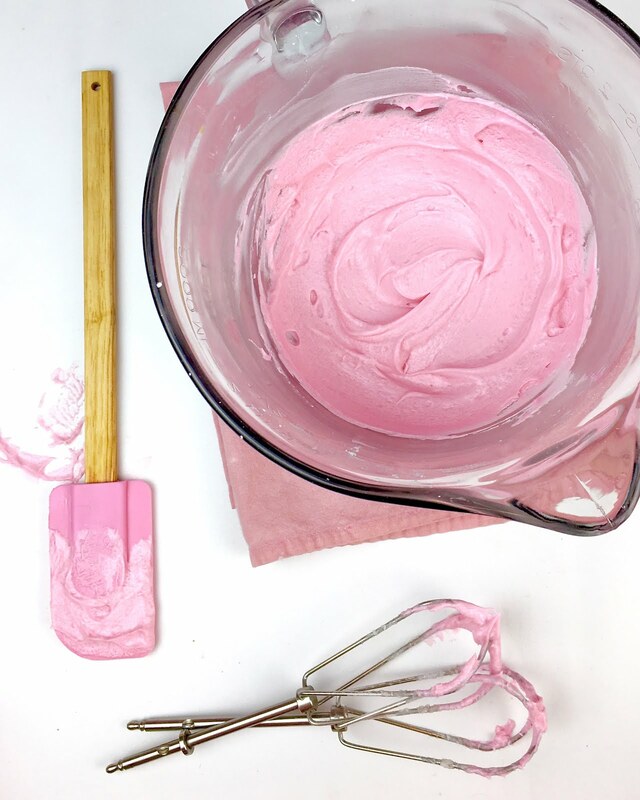 Whip up some sweet filling, that is flavored and tinted a beautiful pink hue, with cherry juice! 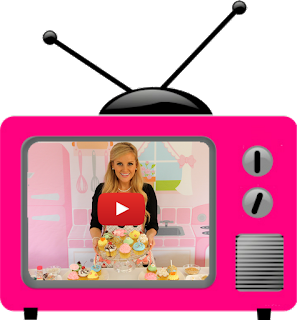 Then we get to put it all together! 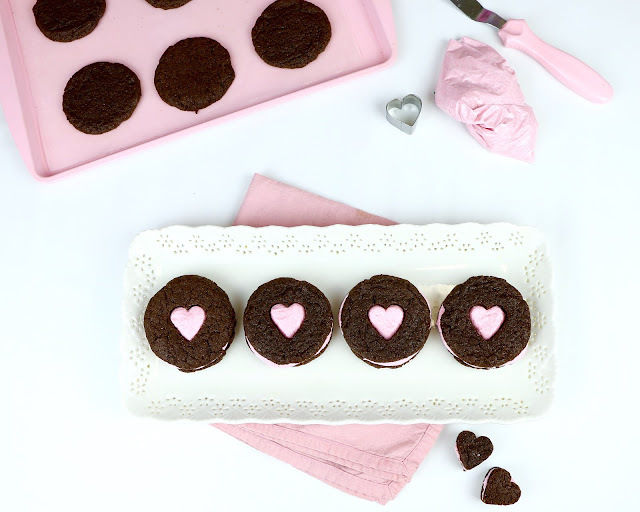 All you need is a little heart shaped cookie cutter for the tops of the cookies, to create a sweet little cut-out shape. 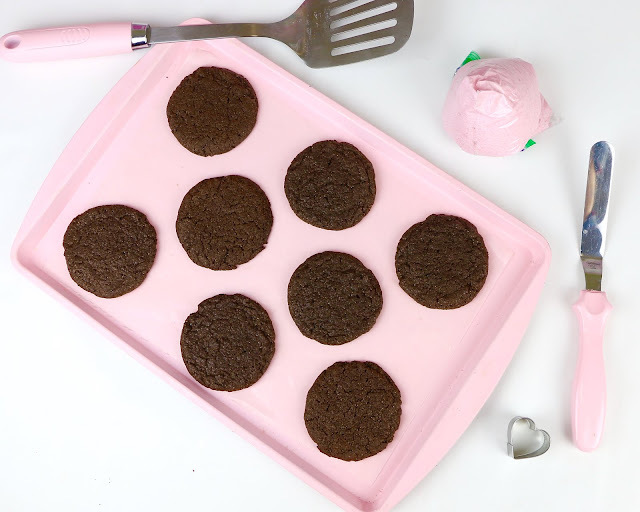 This part is optional, but adds a really cute look to the cookies. 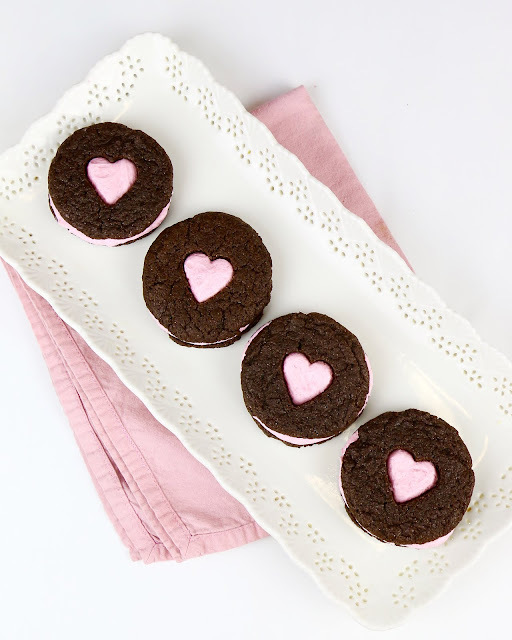 You can even use the cut-outs to create little baby heart sandwich cookies too! 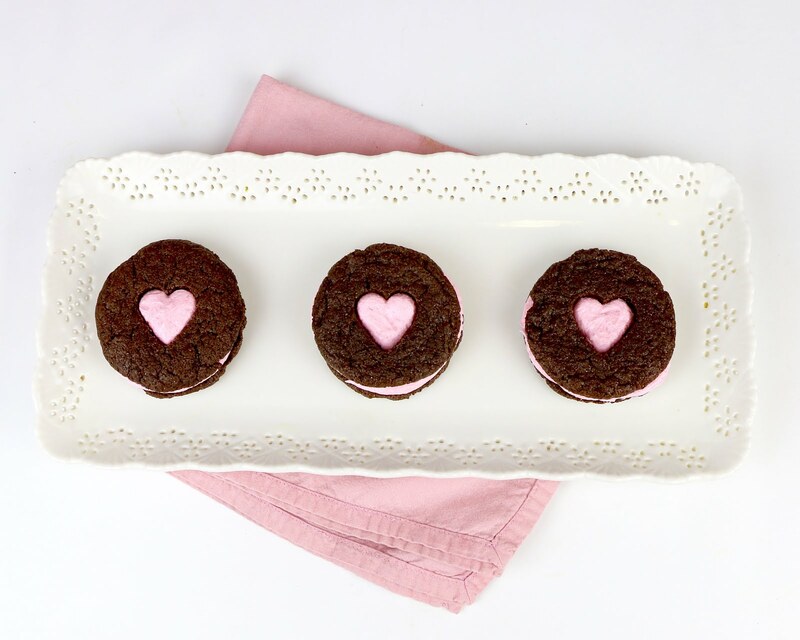 Chewy chocolate cookies, sweet cherry filling, adorable little hearts on top... these make the perfect Valentine's Day treat! *If using canned frosting, just stir cherry juice directly into a container of vanilla frosting, until desired color/flavor is reached. 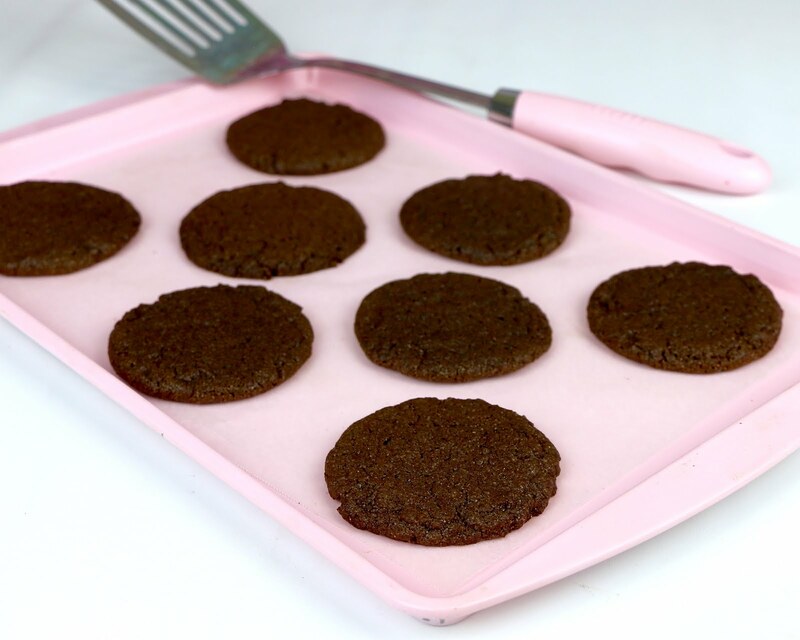 To make the filling, beat the softened butter on medium-high speed until smooth and creamy. 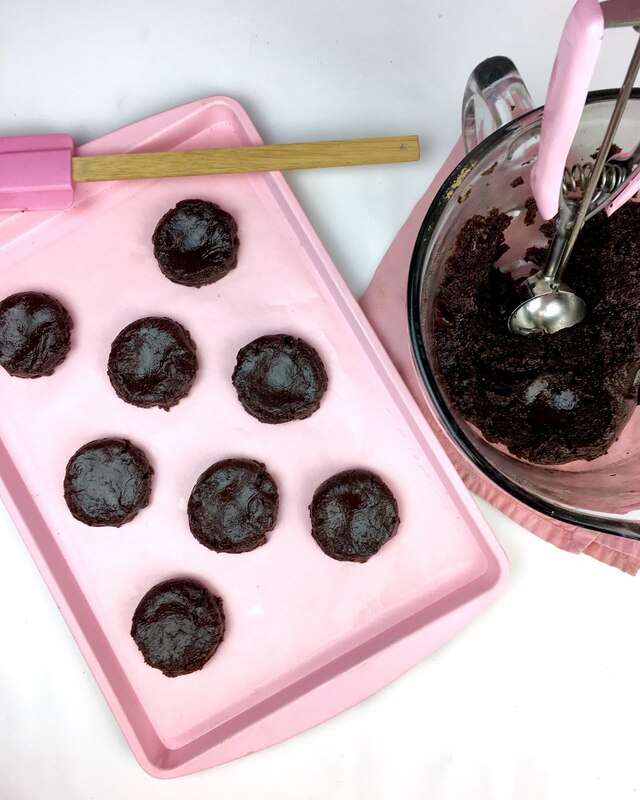 Add the powdered sugar, vanilla and cherry juice, until desired consistency, flavor and color is reached. 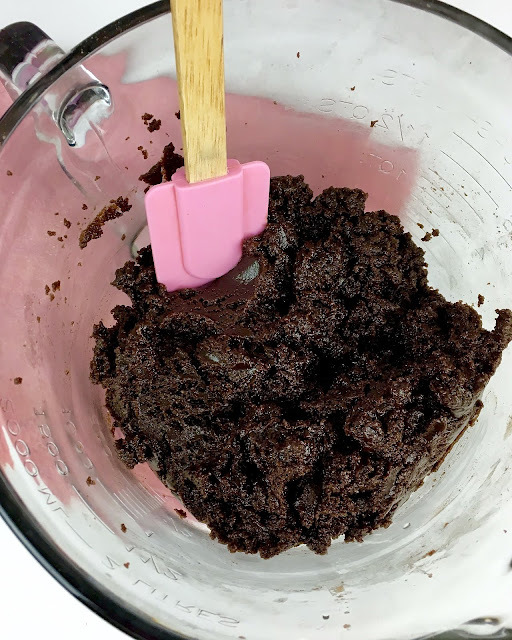 Increase to medium-high speed and beat for an additional 3-4 minutes until smooth, light and fluffy. 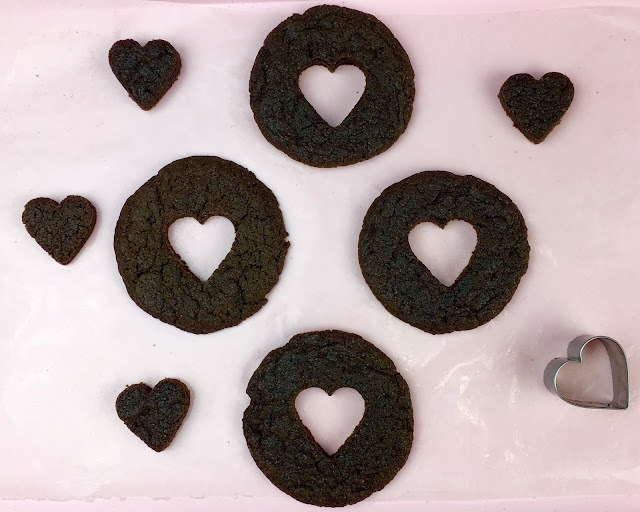 Using a small heart shaped cookie cutter, cut a heart out of the top of half of the cookies. place the other half of the cookies upside down on a plate and spread an even layer of frosting onto the bottom side of the completely cooled cookies. 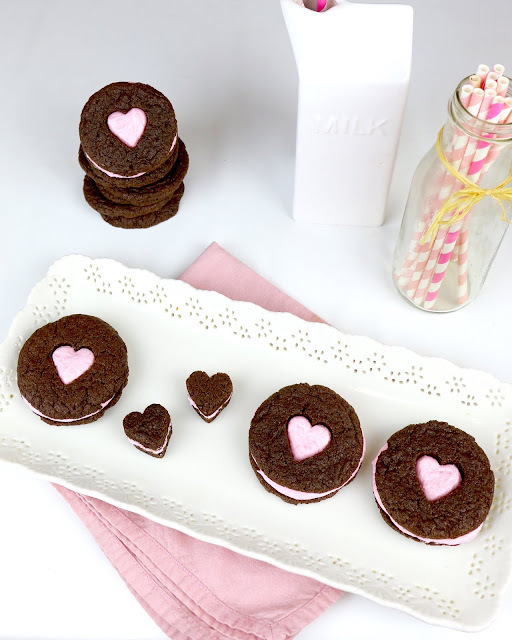 Gently press the heart cut-out cookies on top, and enjoy!